Inter-Service Transfers do occur, but they are not as common as you might think. Changing uniforms during your enlistment requires one branch of service that does not need you and another branch of service that does. It does happen, but you must qualify with certain criteria. If you are in the Delayed Enlistment Program (DEP), you would first have to request a DEP discharge from the branch you are enlisted in, and then apply to join the other service through the other service's recruiter. Military recruiters are prohibited by regulation and policy from "actively recruiting" members of other service's DEP. So, to better your chances of making this transfer, you should not be talking to the recruiter of the other service until your DEP discharge is approved. Once one goes on active duty, with the exception of a few commissioned officer specialties (such as a physician), one cannot simply transfer from one branch of the service to another. You have to complete a Request for Conditional Release from your current branch of service. Though the process exists, the likelihood of your current branch of service releasing you is the hurdle to jump over. Typically, the move from one branch to another requires one to complete their enlistment contract. It may take 4-6 years depending on your time you enlisted. Then you have to get out of the military, and then visit a recruiter to join the different service, as a prior-service recruit. It is by no means a "sure thing," as prior-service slots are limited. It is easier to join the military from the street than from the Fleet. There is a program which will allow members of the Navy and Air Force who are serving in over-manned jobs to request early discharge, in exchange for agreeing to a three-year active duty enlistment in the Army. The name of this program is "Blue to Green." 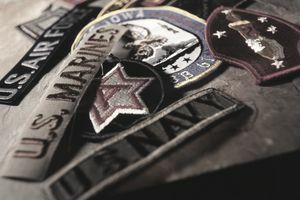 Under an inter-service agreement, members of the Air Force, Navy, Marines, and Coast Guard can also request an early discharge to apply for the Army Warrant Officer Program. Many who could not become pilots in their original branch find a home in the Army Warrant Officer program and become pilots of a variety of Army aircraft (helicopters and fixed wing). Additionally, active duty enlisted members can apply for an early discharge if they are accepted into the Officer Candidate School/Officer Training School of another service. Typically on a one to one basis, members of the Air Force Academy, Naval Academy, and West Point can select a job outside of the Academy they graduated from. For instance, there may not be enough pilot slots in the Navy, so requesting an inter-service transfer with the Air Force to obtain pilot school after graduation is possible if there is a member of the Air Force Academy graduating class that prefers to join the Navy. For instance, there are typically two or three Air Force Academy and West Point graduates who get selected to attend SEAL training every year. For them to qualify for such a transfer, an equal number of Naval Academy graduates have to pursue Army or Air Force commissions. Watch Now: Which Branch of the Military Is Right For You? Some recruiters will tell a young recruit that you can serve in the Army or Marine Corps and then attend (for example) SEAL training after you have gained some experience. The recruiter is not lying. However, you have to complete your four-year enlistment before you can attend another school within a different service. Some schools have a joint charter with all services can attend like Basic Airborne Course in the Army. However, SEAL training requires you have to be in the Navy to attend SEAL training. Receiving an inter-service transfer to attend advanced school in other services is not going to happen. If you want to be a Navy SEAL, join the Navy. If you want to be an Army Ranger, join the Army. Do not rely on the rare occurrence of an inter-service transfer. Can You Be Recalled to Active Military Duty After Getting Out? Is Military Service a Requirement to Become an Astronaut? What Does the Navy Limited Duty Officer Selection Program Entail? Is It Possible to Enlist Again If You Have Prior Service? Is Military School the Perfect University? How to Become a Military Olympian? How Do You Get Navy and Marine Corps Overseas Service Ribbons?